Elijah Fisher, a 13-year old basketball prodigy from Toronto, received a special surprise today from Harlem Globetrotters' star Zeus McClurkin at Crestwood Preparatory College in North York, ON. In the video below, Zeus interrupted Elijah’s lunch period, traded dunks with him in the gymnasium, and held an assembly about character education for Elijah’s classmates. Elijah is the top North American player from the class of 2023, according to many scouts. Zeus commended Elijah for having a great attitude and work ethic off the court, as described by his coaches and teachers. 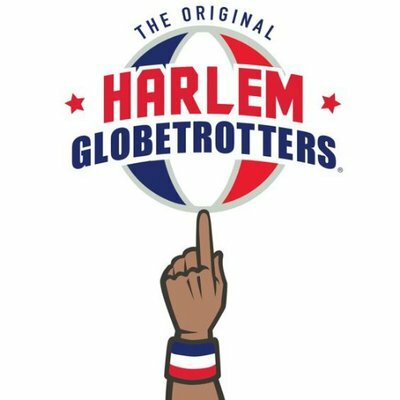 During his visit, Zeus presented the Globetrotters’ C.H.E.E.R. for Character assembly for Crestwood Prep’s 7th and 8th graders. The program focuses on Cooperation, Healthy mind & body, Effort, Enthusiasm, and Responsibility – all areas where Elijah excels.